The films of Naomi Ogigami (Seagull Diner, Glasses) turned me into a fan of the food stylist Nami Iijima (飯島奈美, b. 1969). As I wrote in Nami Iijima: Food Stylist Extraordinaire, in addition to her work styling food for great films like Chef of the South Pole and Villon’s Wife, Iijima has made a name for herself in Japan as a celebrity chef. She has written many wonderful cookbooks such as Breakfast Menu (Asagohan no Kondate) and Life: Iijima Nami’s Homemade Taste (LIFE Nandemonai Hi, Omedetou! Gohan). I was delighted to discover late last year that Iijima’s recipes have become available in English via the American publisher Vertical – an imprint that I associate with manga. They publish English translations of Osamu Tezuka’s Black Jack and Buddha. It turns out that Vertical also translates cookbooks, novels, and other miscellanea. Reel Cuisine: Blockbuster Dishes from the Silver Screen is based on Nami Iijima’s column Cinema Shokudo (シネマ食堂) which she wrote for AERA magazine between 2007-9. Many of the recipes also featured in the Japanese book based on this column and also called Cinema Shokudo (2009). Both books feature photography by Elina Yamasaki. When it first came in the post I was initially disappointed by how slim the volume is – I collect cookbooks and I like them big and bulky and full of lovely illustrations or photographs. There is no introduction explaining who Iijima is, which clearly confused one reviewer of the cookbook. This would have been useful as the films that Iijima has worked on have only played at festivals in North America and have not been released there on DVD. The first section of the book consists of recipes from films that Iijima worked on. 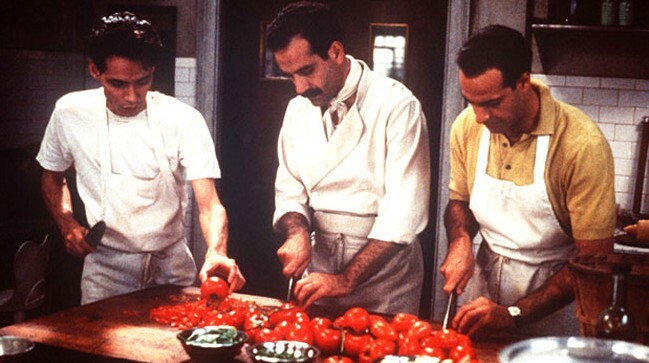 Each recipe is accompanied by a brief explanation of the context of the food in the film. At the back of the book, there is some text from Iijima’s “Work Diary” that explain how she works with food and give an idea of the thought process that goes into designing food and settings for the food during film production. The rest of the book contains recipes from world and Hollywood cinema. 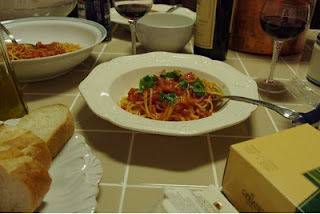 In them Iijima recreates meals that she has seen in movies. In her short introduction (which is more like a preface) she writes that her favourite genre of film is the “slice of life” movie. Her cinematic tastes are varied from quirky independent cinema to classics to popular Japanese and Hollywood fare. As I associate her with modern Japanese cuisine, it was fascinating to learn that Iijima delights in the challenges of world cuisine from zha jiang mian (Chinese fried noodles in sauce) to pot-au-feu (French beef stew). Apart from the lack of introduction to Iijima herself, my only criticism of the book is that it doesn’t include more of Iijima’s commentary on the films and the reasons why she chose a particular dish from each film. The best recipes are the ones that have this additional text. For example, the Comics Worth Reading reviewer of this book wondered why Iijima gives us a recipe for fried chicken instead of the titular fried green tomatoes of the popular 1991 film starring Mary Stuart Masterson, Jessica Tandy, Kathy Bates, and Mary-Louise Parker. Reel Cuisine only gives a mini film synopsis with the recipe. 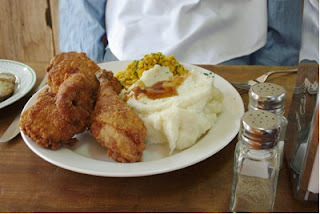 However, in her AERA column, Iijima explains that due to the lack of commercial availability of green tomatoes in Japan she decided to teach her readers about fried chicken – a staple of the southern United States. Fried chicken is a popular treat in Japan as well – but the spices used in the recipe would be different. Iijima’s recipes are not authentically from the movies she has selected – each one has her own particular take on the dish. 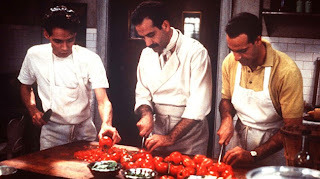 So the fried chicken recipe calls for sake – which I am sure was not on set during the filming of Fried Green Tomatoes. If you want the original recipe, I advise purchasing the original novel by Fried Green Tomatoes at the Whistle Stop Café by Fannie Flagg as it contains recipes (or even the accompanying cookbook ). 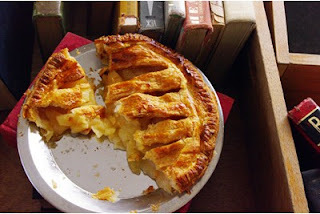 I recall trying those recipes when the movie came out and failing miserably as I did not have the ingredients or the technique needed. Iijima has simplified the fried chicken recipe and made it easy for the average home cook. 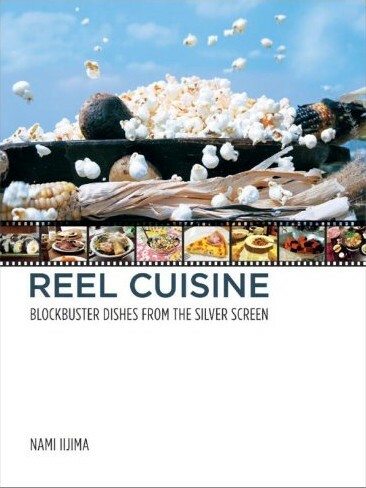 This book a tribute to food in the movies written by a movie lover and chef. The recipes have been adapted to North American measuring standards and are written in a clear and concise manner. There are lots of practical tips and interesting ideas that I would never have thought of myself. It's a fun little book for cinephiles like me.